Great location close to town & Webster Lake. Perfectly sized for a first time home buyer or if you are ready to downsize. This fixer-upper is ideal for your own personal renovation incorporating your own style in finishes & colors. 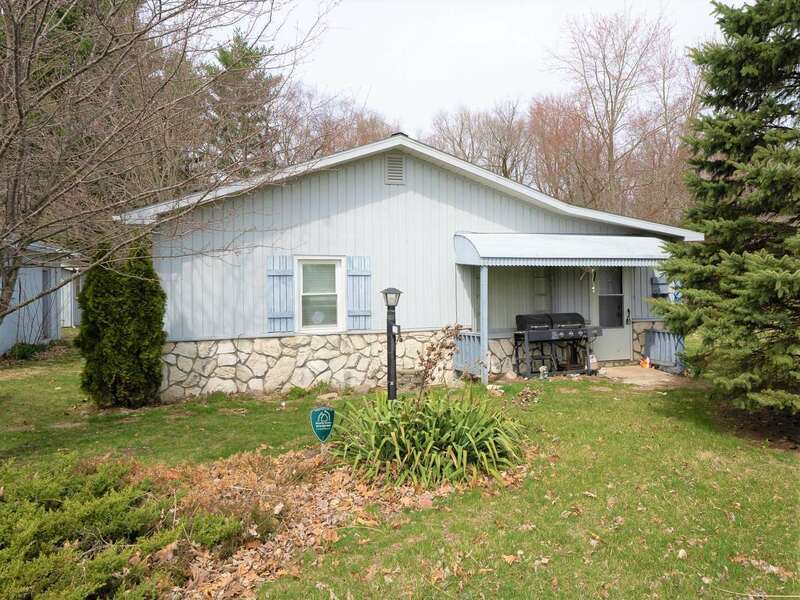 Easy living ranch style home has a floor plan that accommodates an entryway, a living room, eat-in kitchen, 3 bedrooms, 1 full bath & a separate laundry room. Some new windows in 2017. Set on a 1.29 acre tract for a nice big yard ideal for a backyard gardener, entertaining family & friends, or space for family pets. The detached 432 sq. ft. garage & 286 sq. ft. utility shed adds storage convenience. Webster Lake is a 640 acre lake perfect for fishing & filled with relaxation, fun & recreation as an all sports lake for boaters & skiers. Being sold "As Is." The adjacent property is also available.